The P.S.N.I. 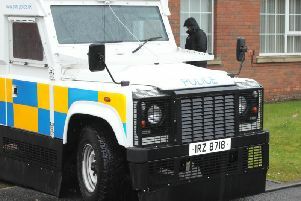 is concerned for the safety of a missing Northern Ireland man who was last seen since early this morning. Steven Theed, who is from Portadown, was last seen wearing a blue Super Dry jacket, navy jeans and navy boots. "Steven's family have not heard from Steven since early this morning and are becoming concerned for his safety," said the P.S.N.I. "We are looking for Steven as a missing person and the family would be very grateful if you could help us locate him," they added.